Joseph Miller, 7, builds a sand castle on an island that has emerged as the water recedes at the Camanche Reservoir April 3, 2015 in Ione, Calif. Miller was visiting the spot with family members and his great uncle Chris Wheeler, who moved here almost two years ago and has watched the water level drop. "I just don't want to see it dry up," he said. 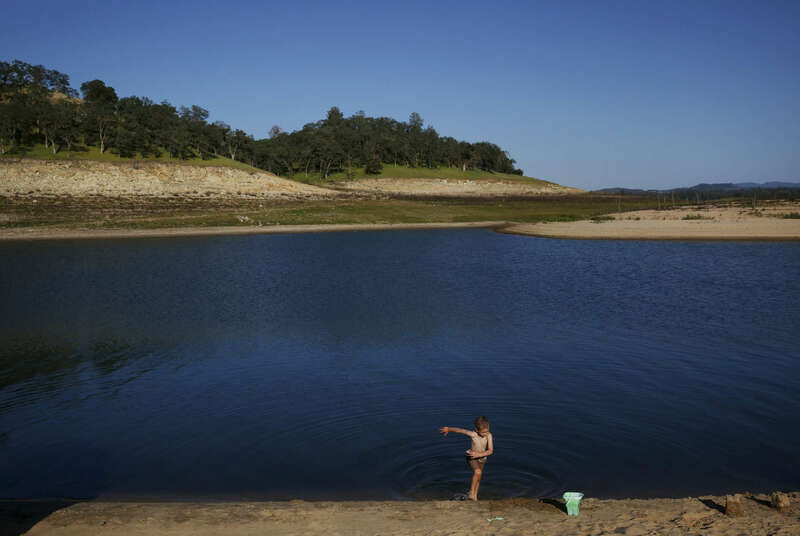 The reservoir, which is part of the East Bay Municipal Utility District, is currently at about 25 percent of its capacity.